but charming accommodation. 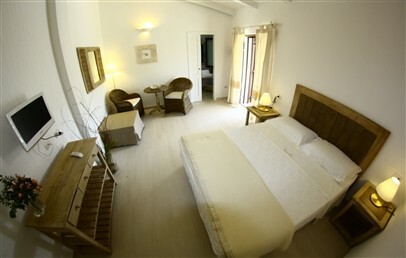 Perfect for guests seeking relaxation just a short distance from the Costa Smeralda. On the way to Golfo Aranci, 2 km from the beautiful beaches of the Costa Smeralda, the Bed&Breakfast Cento Ulivi overlooks a green hill and is surrounded by fruit trees and olive trees. Porto Rotondo is 6 km away and the airport of Olbia is only 13 km far from the BB. The Bed&Breakfast Cento Ulivi is born from an old farmhouse, carefully renovated to maintain the charm of the typical buildings of Gallura. 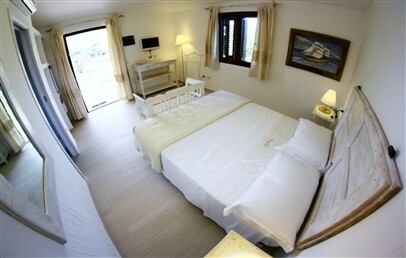 Suitable for couples, it doen not provided the possibility to accommodate children (they are welcome from 14 years old). Three pretty big dogs, docile and affectionate, move freely in the estate and enliven the stay of the guests. 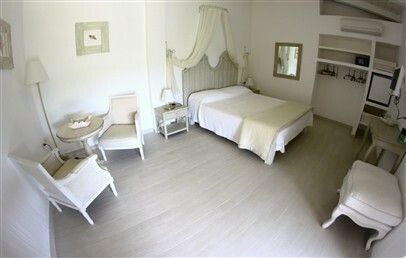 The 5 rooms of the Bed & Breakfast Cento Ulivi have independent access from the veranda and are furnished in Charmant/Shabby Chic style. They take name from the most popular locations of the area and feature a private shower bathroom, internet connection and have view over the garden or the backyard. Guests can enjoy a tasty breakfast, served in the charming breakfast room from 8.30 to 11.00. Not far from the B&B Cento Ulivi you can reach the equipped beach that features umbrellas and sun beds, wheelchair accessible. In this beach your dogs are welcome. The beaches of Marinella, Cala Sabina, Spiaggia dei Sassi are not far from Cento Ulivi. Guests can also relax in the swimming pool with whirlpool. 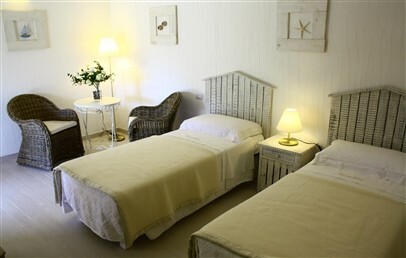 The hotel also offers private parking and the possibility to book excursions, to make sports and horse riding in the nearby. Furnished in a “Charmant”/Shabby Chic style, they feature private shower bathrooms with patio, overlooking the garden or on the backyard and provide independent access. Internet and pool towels are included.